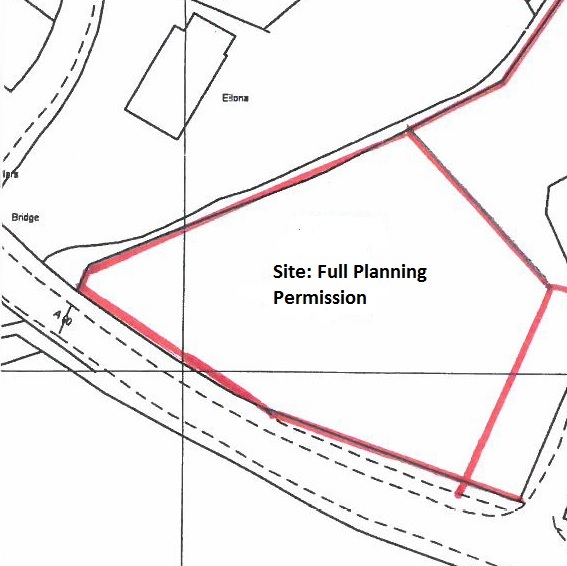 Site app 1/2 acre with full planning permission for erection of 4 bed dwellhouse with garage . Price over £40,000 Immed entry. Viewing contact solicitors. Located at the edge of the small Country Village of Lonmay is this site with full planning permission for erection of a 4 bedroomed house with a single garage. The site approximately measures ½ an acre. Lonmay itself is close to and on commuting routes to Fraserburgh, Peterhead and Aberdeen. There are surrounding Villages of Rathen and St Combs which both have Primary Schools.